Lisbon Falls, ME – Sarah Ann (Senz) Williams 71 of Lisbon Falls passed away on Friday, August 3, 2018 at Mid-Coast Hospital after a long battle with cancer. She was the wife of Edward T. Williams. (Passed) August 26, 2013. She was born in Lodi, Ohio on November 26, 1946. A daughter of the late Gordon Joseph Senz and Opal Frances (Norris) Senz. Sarah grew up in Ohio and Maine. And had a great love for her Lord. She married Edward on March 27, 1971 and celebrated their 42nd wedding anniversary before his passing. Sarah worked as a waitress in the 76 Truck Stop while living in Ohio and worked at Eastland Shoe for many years. She retired from Eastland Shoe and began to babysit her many grandchildren. She enjoyed knitting, watching her stories on TV, spending time with her sister Olive at Beano and her yearly visits with family in Ohio. Sarah also enjoyed working at the Riverside Flea Market in Lisbon where she ran a food stand with her late husband. Sarah is survived by her five children; James Williams and his wife Maria of Bowdoin, Fred Williams of Lisbon, Susan Wallace and boyfriend Timothy Ward of Harpswell, Frances Jasmuzek and her husband Dan of Lisbon, Tammy Washburn and her husband Randall of Lisbon Falls. 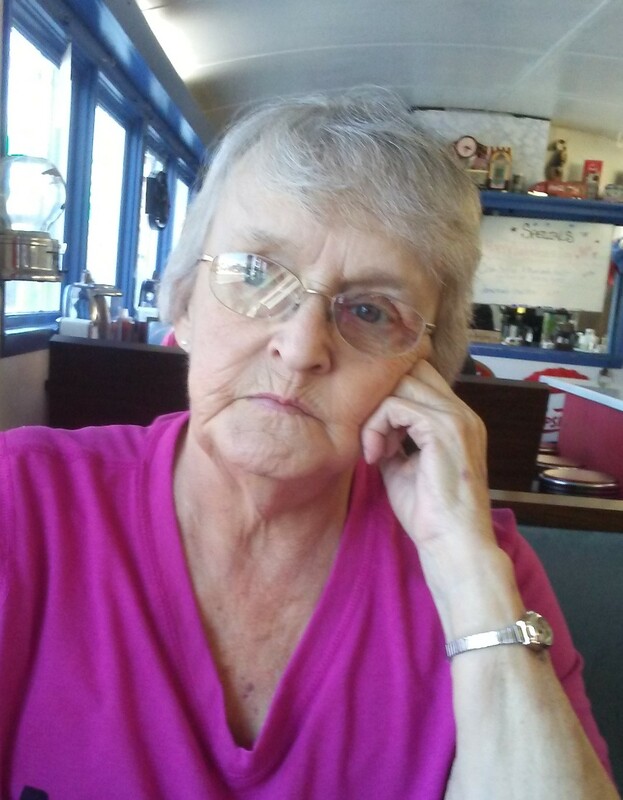 She also leaves 23 grandchildren and 18 great grandchildren, as well as 3 sisters, Olive Austin, Cyndie Parrish and Joyce Farnham, and 1 brother James Senz. She is also the sister of the late Gordon J. Senz, Arthur Senz, Ruth Grimwood and Thelma Senz, and great grandmother of the late Sarah Ann Marie Peterson and Damian Levi Biron and stepmother to the late John Williams. Relatives and friends are invited to attend a memorial service on Tuesday, August 21, 2018 at 12 noon at the North Monmouth Community Church, 151 North Main Street, North Monmouth. The Patrick Dempsey Center in memory of Sarah Williams.